Most business owners are well aware of the importance of keeping business accounts. Business accounts are needed in order to monitor the flow of money in and out of a company. Even the smallest company will need to keep some form of business accounts system to monitor their funds, incomings and expenditure. It is the law that businesses do keep accurate business accounts. There is of course a certain amount of turnover that is needed before audits will be required, but even small one person businesses should keep accounts. If a tax investigation were to occur then the investigator would assume you had something to hide if there were no business accounts. Businesses with employees will be required by law to hold accounts with details of tax and National Insurance details. A good set of “books” is essential to keep control over company finances. Lack of financial control through inadequate book keeping has been known to cause the failure of many businesses. For many new companies the mundane clerical side of keeping books is the last thing on their minds but it cannot be neglected. By not keeping financial records when you start trading you are certainly asking for trouble in the future. Businesses that do not keep good financial accounts will also find it almost impossible to gain business loans from banks. Business accounts will need to hold certain information as required by the law. Included in this information will be National Insurance numbers and the names and address of each employee. The amount of National Insurance paid by both the employer and the employee and details of salaries and any bonuses and commissions. The amount of tax due and the amount of tax paid in the current year. Total taxable pay for employees and the taxable pay for each year. Value Added Tax (VAT) that has been paid on purchases and the VAT that has been reclaimed. 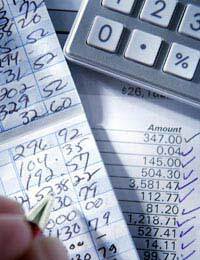 Many businesses will have a dedicated financial accountant that will deal with business accounts. Even small businesses will find the services of an accountant beneficial, especially when it comes to tax assessments. Accountants can be hired on an “as needed” basis and if you can do the mundane work yourself before handing over to the accountant then this will save a lot of money. Not only will accountants be able to keep your business accounts in order they will be able to find the most cost efficient ways to save your company money on issues such as tax. Financial record keeping is the most mundane part of the job for a lot of entrepreneurs. However, messy accounts mean that you are losing control and can cause a lot of trouble that will simply grow the longer you avoid setting out your financial records. Keeping good business accounts is the only way to keep on top of you company’s finances and to monitor where your money is going to and coming from. There should be help available in this area from government Enterprise agencies for small businesses that do find maintaining financial records a problem.